Dmitry Medvedev hit Moscow’s Rhythm ‘n Blues Cafe to meet with Russian musicians and chat about everything from favorite bands to ecology and copyright law. Music and beer were also on the menu. The country’s leader spent an evening out with leading Russian rockers at Rhythm ‘n Blues Café. The club – considered to be one of cult places for all devoted music lovers – is owned by Andrey Makarevich, the frontman for the legendary Russian band “Mashina Vremeni” (“Time Machine”). In a relaxed atmosphere – or at least as relaxed as it can be with cameras, security, journalists and representatives of the presidential administration present onsite – Medvedev discussed with musicians some burning issues that worry rockers, as well as society in general. But rock music, quite predictably, was the leading topic. Russian musicians, as well as artists all over the world, particularly worry about the protection of their intellectual property – namely, music. With the development of technologies and opportunities the internet provides for fans unwilling to pay for the music they listen to, the necessity to create a more efficient copyright protection system has become obvious. He stressed that approaches should be changed globally, though he added that the situation with copyright protection in Russia is worse than elsewhere since, “unfortunately,” it is the result of a mentality in the country. The problem, he said, can only be solved when people start considering copyright violations just as any other crime. The chat over a beer in the Moscow jazz club also went beyond stage-related topics. Traditionally known for their active social positions, rockers raised an issue that lingered in the Russian media last summer and provoked rather strong public reaction: the fate of the Khimki Forest outside the capital. However, this time the musicians thanked rather than criticized the president for his reaction. Following protests organized by environmentalists, Medvedev suspended the construction of a new highway between Moscow and St. Petersburg that was planned to go through the Khimki Forest. Andrey Makarevich thanked the president for listening to the public. “Frankly, I didn’t have any hope that any [response from the authorities] would follow at all,” he said. The final decision on whether the road will go through the forest or will be re-routed has yet to be made. On Tuesday, the president gathered experts at the Kremlin to discuss the construction of the controversial highway. The gathering was held behind the closed doors. “No matter what solution to the situation will be found, there is a lesson we should learn from it,” Medvedev told the musicians. Whenever it comes to a resonant issue that particularly worries society, he said, authorities should discuss it but not just “turn a blind eye” to public reaction and say the decision was already made. 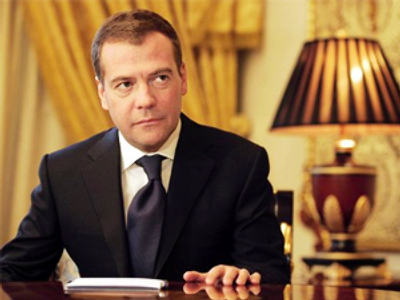 “Pretending that everything is fine and nothing is going on can result in a dead-end situation,” Medvedev noted. 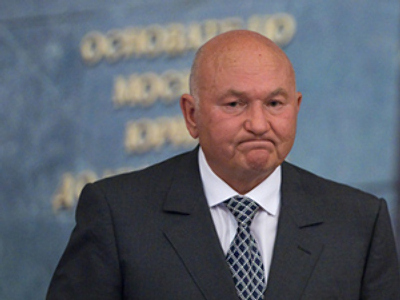 Commenting on yet another resonant story – the recent dismissal of Moscow Mayor Yury Luzhkov – Medvedev said that he will come up with a candidate for the vacant post “in the near future.” On Saturday, the ruling United Russia party submitted to Medvedev a list of four possible candidates for the mayoral post. The president now has to choose between the four and submit his proposal to the city’s parliament for approval. Medvedev – who changed into jeans for the occasion – confessed to being a huge music fan since his youth. 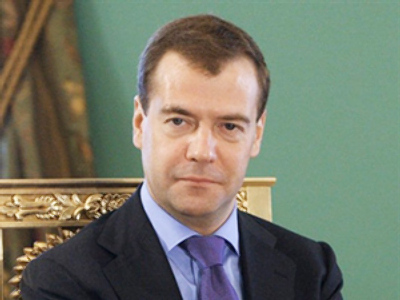 Better known as a fan of the Western classic rock acts Deep Purple and Led Zeppelin, Medvedev assured the Russian rockers that “from time to time” he “consumes” pieces of music that they create. “In fact, it’s rather interesting to me,” he added. “Well, who do I normally meet? With the government – by the way, they said ‘hello’ to you – who usually deal with the budget. With MPs, my administration and journalists. But it is very rare that I meet with musicians. In fact, normally I see them at award ceremonies or some other events,” the president told the luminaries of the Russian rock stage. The name the veteran rocker Yury Shevchuk, the frontman for the DDT band, also came up at the meeting. Lately, the musician – who has been starring on stage for over two decades – has gained even more popularity for taking part in protests and, particularly, for his showdown with Premier Vladimir Putin at a charity dinner in St. Petersburg. “Unlike my colleagues, I do know who [Shevchuk] is. I know how he looks like,” Medvedev said laughing. The comment referred to Putin asking the rocker to introduce himself, which rather shocked society as Shevchuk is perhaps one of the most famous musicians in the country. Back then, Shevchuk introduced himself as “Yura, a musician.” That has now become a usual way to refer the DDT lead singer. Yura, though, was not present at the Moscow rock party with the president. The evening ended on a positive note with musicians playing famous rock hits live on the café’s stage and presenting Medvedev with an electric guitar with their autographs on it.